Have you had trouble with your Volkswagen losing power? Or does it start jerking in and out of gears? Did you know that these could be symptoms of a faulty Automatic Transmission Control Unit, or more commonly known as the Gearbox ECU? This problem can be diagnosed on all gearbox types, automatic or semi-automatic, S-Tronic or Mechatronic, a Continuously Variable Transmission (CVT) or a Direct Shift Gearbox (DSG), and can occasionally be repaired once the problem has been identified with a simple gearbox oil change or a software update, however if it is a Transmission Control Module (TCM) fault, this will either need to be repaired or replaced. There have been a number of common faults reported to us by customers in the past regarding the DSG/CVT Transmission Controllers, and in most occasions the faults can be rectified. However, there are occasions where the problem starts to worsen depending on the nature of the problem, and you will notice this when the faults are irregular. If your car is suffering from any of the issues below, you may have an issue with your Transmission Control Module. As there are so many to list, we have only highlighted the most common. If you are unable to find a fault code on the list above, get in touch for more information. 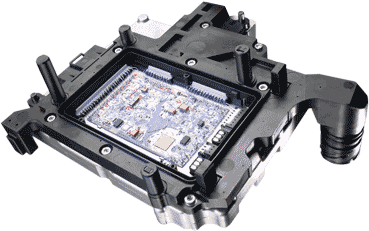 If you have done your research, you will be aware that to replace or repair a faulty DSG Gearbox ECU from local dealers can cost in the excess of £1000 + VAT, and this will not include any programming which you will have to pay extra for. It will generally come with a standard 12 Month Warranty, unless of course it is irreparable, in which case you may be offered to replace your DSG/CVT Transmission ECU with a second-hand used part which will only come with a 30-90 day limited warranty. Again, you will still need to pay extra for programming! The list below outlines the most common repair and exchange units that we have repaired or replaced for customers in the past. If you have identified the problem with your DSG Transmission Control Unit and require a part number that is not on the list below, please call us on 0844 847 9999 and we will be able to provide further information about testing and repairing your unit. My Volkswagen Has a DSG TCM Module Fault – How can SINSPEED Assist Me? Whether you’ve identified the exact issue with your DSG TCM Module or are having difficulty locating the problem, we are pleased to advise that here at Sinspeed, we hold the latest Automatic Transmission Controller Testing equipment as well as all major components in stock, so we can fully bench test all transmission controllers as well as carry out all the repairs, including programming/coding ensuring that it is fully plug and play! In order to take advantage of our fantastic service, all you need to do is post out your part to us and we will quote you to repair or replace the unit, including all the programming and coding cost within the final cost, then post the part back out to you fully coded and functional, ready to plug and play! Not only this, but we also provide LIFETIME Warranty on all of our DSG / CVT Gearbox ECU’s! So if you want further information about how Sinspeed can help you, give us a call today on 0844 847 9999. So you’ve repaired your Gearbox ECU, but do you want better performance and an enhanced driving experience? Imagine smoother gear changes with zero hesitation and a 20% increase in gear shift speeds with zero lag – well we can help you there as well! Not only do we offer a full DSG Transmission TCM Repair + Replacements service, we also offer Remapping services for VW DSG Transmission controllers, where we can fine-tune the mapping of your DSG Controller to provide a greater driving experience. 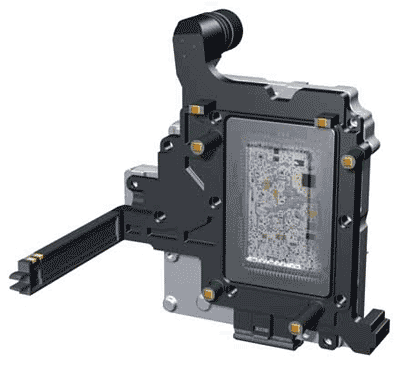 It will be applied to your unit at the same time as your repair, therefore, it will still be fully plug and play. If you want more information on our Volkswagen DSG Remapping Service, please click here. 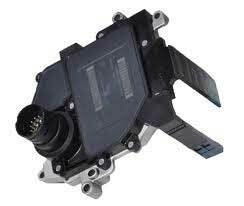 Give us a call today on 0844 847 9999 for further information regarding repairing or replacing your DSG Gearbox ECU. Tags : 00107455A2, 00270659, 01J910156HT, 01J927155JG, 01J927156AE, 01J927156AH, 01J927156BG, 01J927156C45R, 01J927156CB, 01J927156CE, 01J927156CF, 01J927156CG, 01J927156CH, 01J927156CJ, 01J927156CL, 01J927156CM, 01J927156CN, 01J927156CQ, 01J927156CR, 01J927156CS, 01J927156CT, 01J927156DB, 01J927156DE, 01J927156DR, 01J927156DS, 01J927156E, 01J927156EC, 01J927156ET, 01J927156FA, 01J927156FD, 01J927156FH, 01J927156FK, 01J927156GN, 01J927156HF, 01J927156HH, 01J927156HN, 01J927156HT, 01J927156JE, 01J927156JF, 01J927156JG, 01J927156JH, 01J927156JJ, 01J927156JK, 01J927156K, 02E300041N, 02E300041R, 02E300042Q, 02E300046D, 02E300046F, 02E300046K, 02E300146D, 02E300146F, 02E325025AD, 02E325025ADZ01, 02E325025ADZ02, 02E325025ADZ03, 02E325025ADZ04, 02E325025ADZ05, 02E325025ADZ06, 02E325025ADZ07, 02E325025ADZ08, 02E325025ADZ09, 02E325025ADZ0A, 02E325025ADZ0B, 02E325025ADZ0C, 02E325025ADZ0D, 02E927770AD, 02E927770AE, 02E927770AJ, 02E927770E, 02E927770F, 02E927770G, 02E927770L, 02E927770M, 02E927777D, 02E927777OE, 02E927777OF, 02E927777OL, 02E927777OM, 02E92777OAD, 02W927770M, 4B0910155, 4B0910155B, 4B0910155C, 4B0910155D, 4B0910155F, 4B0910155G, 4B0910155K, 4B0910155L, 4B0910155M, 4B0910155N, 4B0910155P, 4B0910155Q, 4B0910155S, 4B0910155T, 4B0910156B, 4B0910156F, 4B0910156G, 4B0910156H, 4B0910156J, 4B0910156L, 4B0910156M, 4B0910156N, 4B1910155A, 4B1910155B, 4B1910155D, 4B1910155E, 4B1910155F, 4B1910155G, 4B1910155J, 4B1910155K, 4B1910155L, 4B1910155N, 4B1910155Q, 4B1910156D, 4B1910156E, 4B1910156F, 4E0910156P, 4F0910155M, 4F0910157J, 4F0910157K, 4F1910155B, 4F1910155D, 4F1910155E, 4F1910155F, 4F1910155H, 4F1910155P, 4F2910155D, 4F2910155G, 4F2910155H, 4F2910155N, 4F2910155R, 4F2910155S, 4F5910155Q, 4F5910155R, 4F5910155S, 4F5910157D, 4F5910157F, 4F5910157H, 4F9910155B, 4F9910155D, 8E0910155, 8E0910155A, 8E0910155B, 8E0910155C, 8E0910155E, 8E0910155F, 8E0910155G, 8E0910155H, 8E0910155J, 8E0910155K, 8E0910155M, 8E0910155N, 8E0910155P, 8E0910155Q, 8E0910155R, 8E0910155S, 8E0910155T, 8E0910156H, 8E0910156K, 8E0910156L, 8E0910156P, 8E0910156Q, 8E0910157H, 8E0910157J, 8E0910157L, 8E0910159, 8E0910159A, 8E0910159B, 8E0910159C, 8E0910159F, 8E1910155B, 8E1910155F, 8E1910155L, 8E1910155M, 8E1910155N, 8E1910155P, 8E1910155S, 8E1910155T, 8E2910155A, 8E2910155B, 8E2910155C, 8E2910155D, 8E2910155E, 8E2910155F, 8E2910155G, 8E2910155H, 8E2910155K, 8E2910155L, 8E2910155P, 8E2910155Q, 8E2910156B, 8E2910156Q, 8E3910155E, 8E3910155F, 8E3910155G, 8E3910155H, 8E3910155J, 8E3910155Q, 8E3910155R, 8E3910155T, 8E4910155A, 8E4910155B, 8E5910155, 8E5910155J, DSG ECU Issues, DSG ECU Repairs, DSG Gearbox Repairs, E040A004161JBLR12, Multitronic Gearbox ECU Problems, P81GF30001073102UF, S-Tronic Gearbox Faults, Volkswagen DSG ECU Issues, Volkswagen DSG ECU Repairs, Volkswagen DSG Gearbox Repairs, Volkswagen Multitronic Gearbox ECU Problems, Volkswagen S-Tronic Gearbox Faults. 2012 Vw Golf. I have a flashing spanner top right of the dash, its flashes the Gear i am in, then spanner followed by Gear and so on. Connected it to computer and says 06300 function restriction due to insufficent pressure build Up. P189c – intermittent. The N217 pressure control valve is a very common failure on this part and one we’ve successfully repaired many times. I have sent you an email with full information and pricing. If you have any questions, please reply to the email and we’ll be happy to assist you. PRNDS light is flashing and giving jerks when shifting in between d and r get it checked and got this 18247 P1839 Pressure Control Solenoid 6 (N371) Open / Short to Ground and been quoted £1000-£1250.could you please help me . This is a very common fault to have on a VW/Audi DSG controller and we’ve had great success in repairing them. We have sent you an email with full information and pricing. If you have any questions, please reply to the email and we’ll be happy to assist you.